I chose LDC after I read the testimonials, they have a high pass rate and everyone seemed to give good feedback. 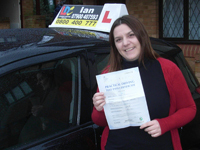 I am happy I did, Ian was my instructor and he is an excellent teacher. I was nervous and scared to drive in the beginning and he showed me I had full control over the car and that there was nothing to worry about. He taught me some excellent techniques which made each manoeuvre very easy and I could perform them all perfectly thanks to his easy steps. I passed my test with 1 minor!! And my examiner even complimented my driving. 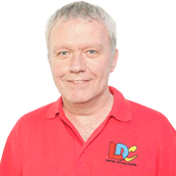 I can strongly recommend LDC, and if you are so lucky to have Ian as your instructor you will be in good hands.